#NyagahNationalLaunch Joe Nyaga Manifesto depicts the picture of a Government of Inclusivity - Bana Kenya News, Real African Network Tubanane. Joseph Nyaga and his running mate Moses Marango has launched their bid for the country top seats at City Stadium. He launched his Manifesto that will take him through the rest of his campaign period. The manifesto launch had a mixed thoughts as the Interior CS died in the Morning. "It is now the time we had a nation united by a common agenda, not divided along tribal lines defined by our political leader." Says Nyaga. Presidential candidate Joseph Nyagah launches his manifesto at City Stadium, Nairobi as people flocked to General Nkaiserries home. "It is time for our country to elect leaders who are not afraid to make bold decisions that benefit Wanjiku" he added. He had a roadshow later in the most parts of Nairobi and its environs. 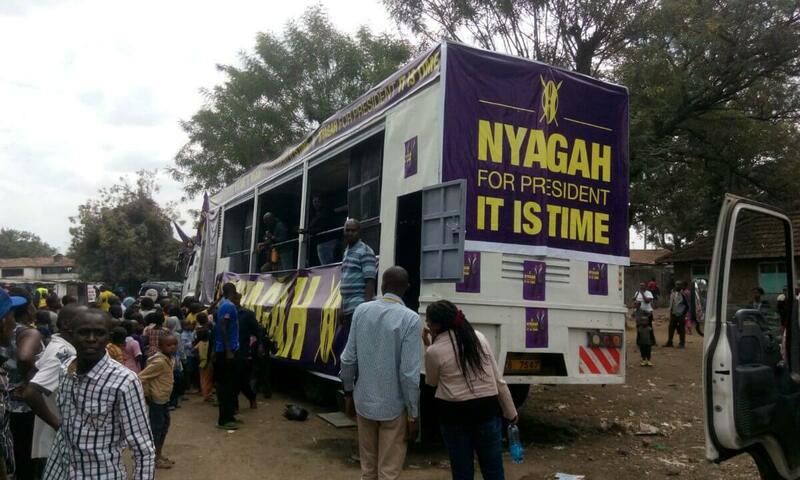 The roadshow began at Kayole and ended at the City stadium. "People hopes and dreams of a nation that is blessed beyond measure." he added. Nyagah will include the underprivileged and previously marginalized groups in national leadership as depicted in his Manifesto. The Nyagah Government will collaborate with the County governments to develop innovation strategies. "For the first time since independence, Kenya has the opportunity to have an inclusive government from the Majority to the Minorities" the Manifesto illustrates.